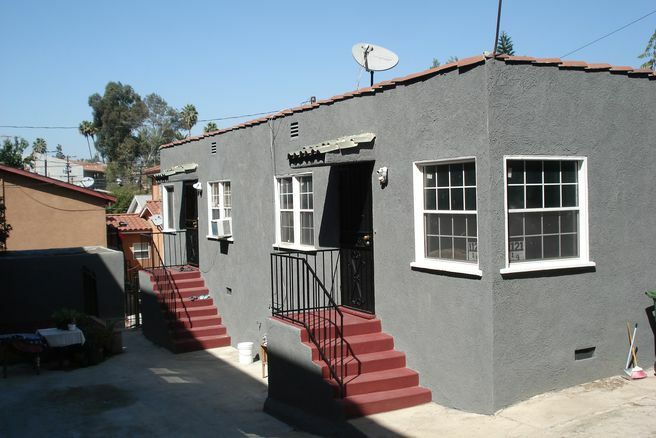 We are pleased to present a (4) unit multi-famiy investment property in the Sliver Lake/Echo Park area just N. of Sunset Blvd. One unit currently vacant, 2 units vacating at the end of Oct. and the last unit vacating Dec 31st. The two front units are averaging 1,100 sq ft. and may be converted to 2 bedrooms. (Buyer to verify with city) There is front and back alley access with 4 garages in back and plenty more parking for additional cars, 8 spaces total. Please drive by the property and do not disturb tenants.